Home Blog Should Prices Influence Your Decision? Let's say that you spotted a beautiful wooden garage door and decided that this is exactly what you are looking to get for your home. Will you be influenced by its price? Will the cost of the door be the absolute factor by which you decide whether to get it or not? Prices definitely influence our decisions. However, if we want to be practical, we must also consider other factors, such as functionality, longevity, safety, and security. Price must be taken into consideration, of course, but we must not let it be the single determining factor that influences our final decision. 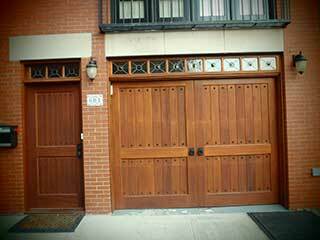 When choosing a new garage door, you should consider every aspect. When you are looking around for a new garage door opener, your first question must not be “how much is it?” but rather, “does it have the necessary horsepower for my door?”. Are You Saying Price isn't Important? No. We're not saying you shouldn't look at prices. You most certainly should, but remember that these units aren't meant to last you a week or a month or a year, they're meant to last you for much much longer than that. Openers also have a few big responsibilities - ensuring your safety, your home's security, and making your daily routine is as convenient as possible. There are certainly some cheap solutions available on the market, but the best deal would be to find an opener that's both affordable (especially considering how long it will last you for) and of the best quality. There are also several special safety and security features that you may also want to consider. Even though they'll probably increase your costs a little, they'll more than make up for it with the peace of mind they'll provide you with. What would be the point of replacing a door panel if you are going to get one of worse quality? Do you want to have to get new ones after a year or two? Wouldn't it be better to get panels that will last you for much longer? The answer, in case you were wondering, is yes. It would be better. There are many different materials for you to choose from, each with their own advantages and disadvantages. Our experts at Garage Door Repair Santa Clarita can help you find the best panels for your particular door, from beautiful wooden ones, to sturdy steel slabs. Call us to get professional consultation.